We are justifiably proud of our award-winning Welsh Black Beef. There are a number of factors that we believe, combined together, produce our superb beef. 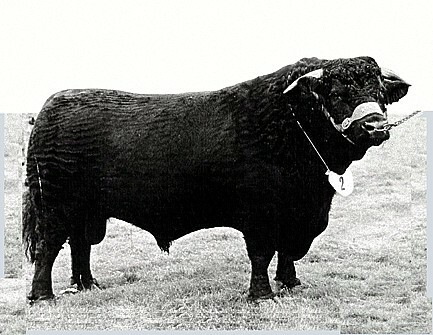 The Welsh Black breed of cattle has always been renowned for the superb eating quality of its meat due to its natural marbling. Our system of farming the cattle on extensive grazing on the clover-rich Anglesey pastures, results in the beef having more flavour. We hang our beef for three weeks to enhance tenderisation and add more flavour. Our meat is hung in the natural way, on the bone, not as others do by maturing de-boned meat in vacuum packs. We only use local abattoirs, resulting in less stress for the animals and fewer food miles. We believe that we have an excellent team of butchers in our on-farm butchery, which ensures that all meat orders reach our customers having been cut to an exceptionally high standard. All our meat is sold fresh; none is frozen before selling it to the customer. Therefore all our meat is suitable for home freezing. The Welsh Black Cattle Society started a scheme in 2008 to award a certificate to those supplying beef which is 100% Welsh Black. Brian was one of the first in Wales to receive this award at the 2008 Winter Fair in Bwlte Wells from Elin Jones, Minister for Agriculture. We received this certificate again in 2009, and Brian will attend a ceremony at the 2010 Winter Fair to receive our third consecutive award. We are proud to represent the suppliers who are committed to ensuring that the public can purchase Welsh Black Beef with the confidence that it is 100% true in origin - from Pedigree Welsh Black herds.